JAM Project 2019 Special Live starts! The new OP theme song of “Super Robot Wars T” was debuted! A Hot LIVE with performances of more than 100 songs!! The super anime song unit JAM Project, which is now active with five members including Hironobu Kageyama, Masaaki Endoh, Hiroshi Kitadani, Masami Okui and Yoshiki Fukuyama, kicked off the special live held in Osaka and Tokyo on January 13 (SUN) at Zepp BaySide OSAKA. JAM Project will celebrate their 20th anniversary in the coming 2020. This special live has been held as a start of the celebration one year in advance. Special Live “A-ROCK” named after the title of their 13th album “JAM Project BEST COLLECTION X III A – ROCK” released last year. Moreover, as they have promised to take the “Challenge of Performing 100 songs in the live” (!? ), an eye-catching Live has been held. The live has been kicked off with a message of “Happy New Year!”. Next year marks the 20th anniversary of the group, the songs that created by members of JAM Project until now were generously performed in live. The first day was named as “Early Numbers”. They have sung the opening theme songs medley and the ending theme songs medley of “Super Robot War” which they have the theme songs of this work since the foundation of the group. Five members have earnestly performed the 10 powerful opening theme songs from their hearts. The title of second day is “Later Numbers.” The “GARO ” medley was a masterpiece which connected 11 songs together. Besides, the ingenious singing skills of JAM Project were perfectly shown by the character songs medley of the popular anime “One-Punch Man”. Moreover, as the special guest “DJKG”, Hironobu Kageyama has showed up as a DJ! In the first day of the live, “This is really a slightly bitter premiere.” He turned the failure into laughter which showed us the aura of a big-named artist. Finally, leader Hironobu Kageyama said: “Cause I am the leader, there are a lot of things I want to tell everyone. In next two years, I hope everyone can keep an eye on JAM Project. Although there maybe a lot of struggles with stereotyped, in this and next year, we want to go back to the time when we formed JAM Project even if only a little. Just like when playing baseball in high school, our goal is to move towards the top of the anime song scene. In this two years, we aim for the highest peak!“He made a strong announcement. In addition, at the Osaka Live, JAM Project has debuted the latest song of the group “Tread on the Tiger’s Tail”，which is also the opening theme song of new PlayStation(R)4 / Nintendo Switch(TM) game “Super Robot War T”. The audience were excited by the surprise of the debut of new song. They have sung 105 songs in total passionately in two days, including the medleys. The next Tokyo Live held on Jan 25(FRI) and 26 (SAT) at TOYOSU PIT in Tokyo will also be a highly anticipated hot Live with more than 100 songs to be performed. With the coming 20th anniversary of JAM Project, their events are highly concerned in 2019. Member：Hironobu Kageyama, Masaaki Endoh, Hiroshi Kitadani, Masami Okui, Yoshiki Fukuyama. 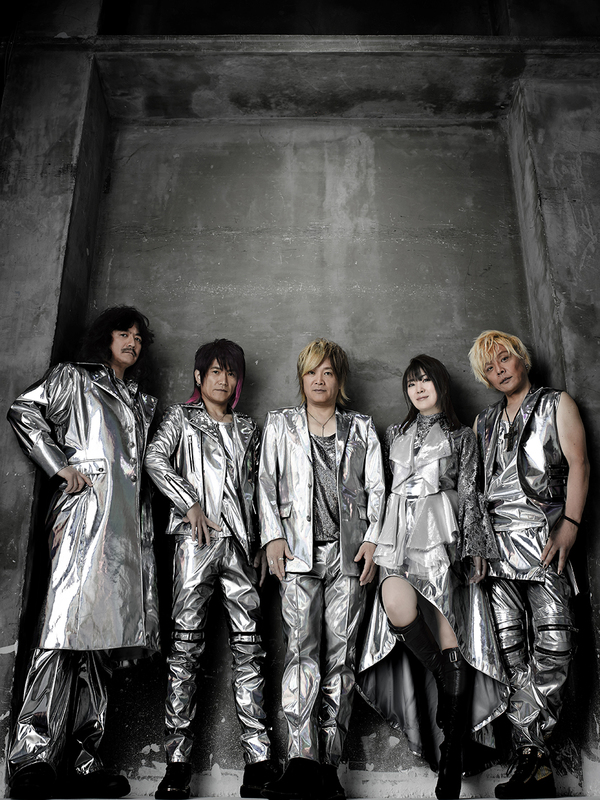 JAM Project is a super group formed in 2000 by the representative singers of the anime song scene. With this desire, JAM Project has already established its own position in the genre called “Anison” . Members also participate in “Music Production” of the anime theme songs, which always aiming at “works= theme song”, and always move forward as a producer and performer. Members are also active in solo activities and motivate each other. By gathering the rich personalities of each members together under one name, they have created unique “theme songs” which can only be created by JAM Project. JAM Project have released about 200 songs so far. Their original album has been released on June 29, 2016 which has been two years and eight months since the last one.